Our Farmhouse Accommodation is the perfect place to unwind and relax after a days walking, cycling, visiting friends or enjoying the delights of Hampshire. 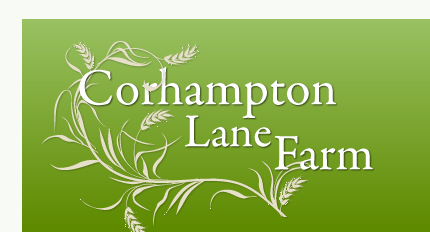 The accommodation at Corhampton Lane farm consists of two well-appointed rooms, each offering a high standard of decoration with luxury fabrics and accessories. Both spacious rooms have a double and a single bed so can be used to fit many holiday requirements: single, double, twin, triple or family. Cots and junior beds are available as are high chairs and other baby equipment. The rooms are fully equipped with central heating, flat screen digital television with Freeview, hairdryer, refreshment tray ( including tea, coffee, hot chocolate, biscuits and mineral water) and fluffy white dressing gowns and many other extras to make your stay comfortable. One room has a private bathroom with a freestanding roll top bath and power shower, and the other a private, contemporary power shower room. For breakfast, our guests are offered a choice of cereals, including homemade muesli, fresh fruit and organic yogurt. An endless supply of Fairtrade tea and coffee is served in a mixture of modern and vintage crockery. Then a Mighty English farmhouse breakfast consisting of Local bacon and sausage, Aga roasted tomatoes and mushrooms, our own free range eggs, and homemade hash brown. Finish your breakfast with rounds and rounds of toast with local honey and homemade preserves. In the early Summer our guests can sample local strawberries, then later in the year apples, plums and pears from our garden. We can offer a full vegetarian breakfast or warm French pastries. Our younger guests can help collect eggs from the chickens, help feed the guinea pigs and let off steam in our rambling garden. We have swings, slides, a zipwire all sorts of balls and rackets and 3 children here all ready to play! We have ample off road parking and cycle storage. We provide many extra services for walkers. Please click here. "...to find such a fantastic place to stay was an absolute delight. B and B’s don’t usually add as much value to a weekend away as Corhampton Lane Farm"